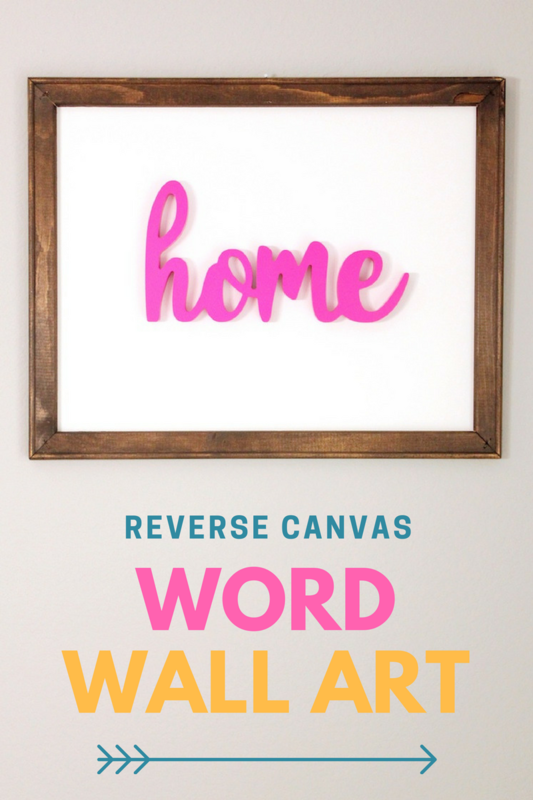 I’ve been dying to try the reverse canvas trend I keep seeing around. I just love the look! Bonus, it’s fast and foolproof. Not counting the time it took for the stain to dry, this lovely piece of art took less than 30 minutes. 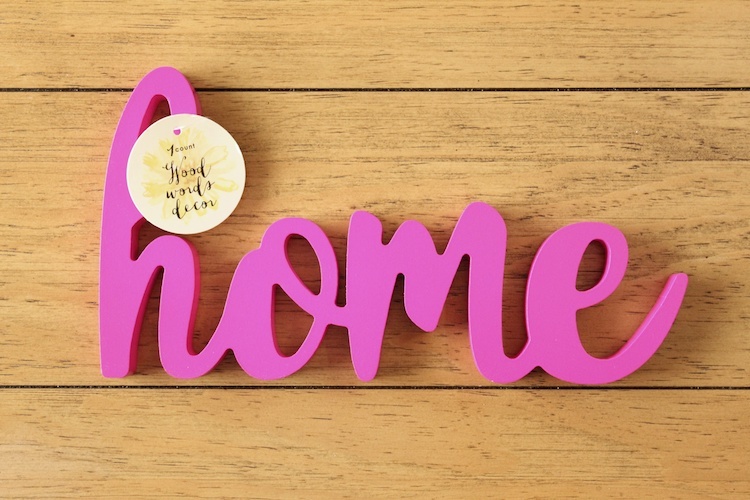 There were a few different wood words to choose from in Target’s Dollar Spot, but I liked “home” for my sign. 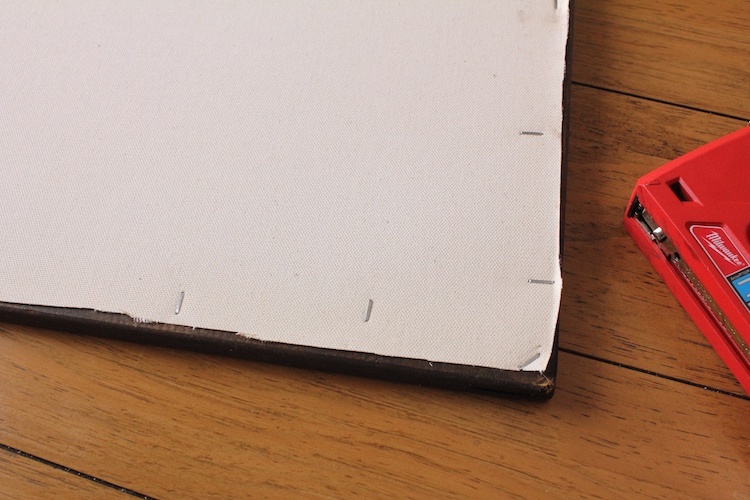 Gently remove the staples from the back of the canvas. Stain the wood frame and give it a chance to dry. 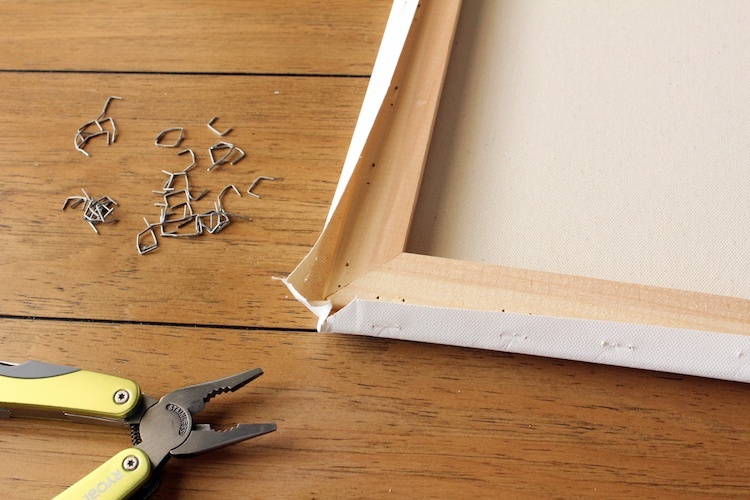 With the good side of the canvas facing the frame, staple it to the back of the wood frame. Trim any canvas that goes over the sides so you won’t see it from the front. 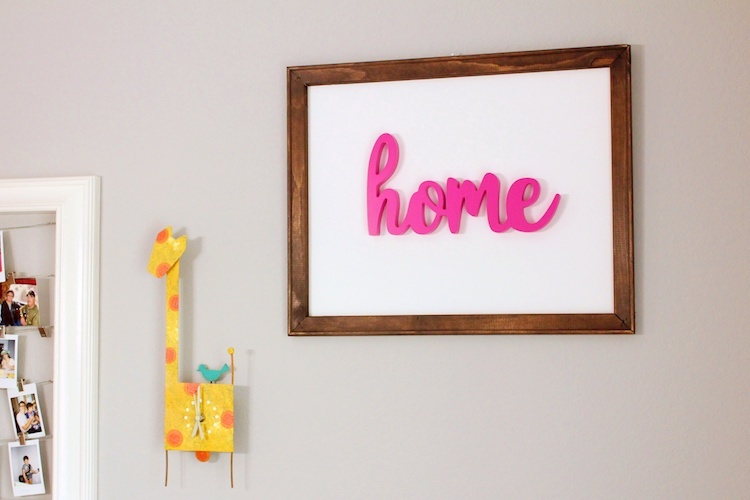 Add the wood word to the canvas with your adhesive of choice. I used a really strong double sided tape. There was no mess and it’s held up perfectly. 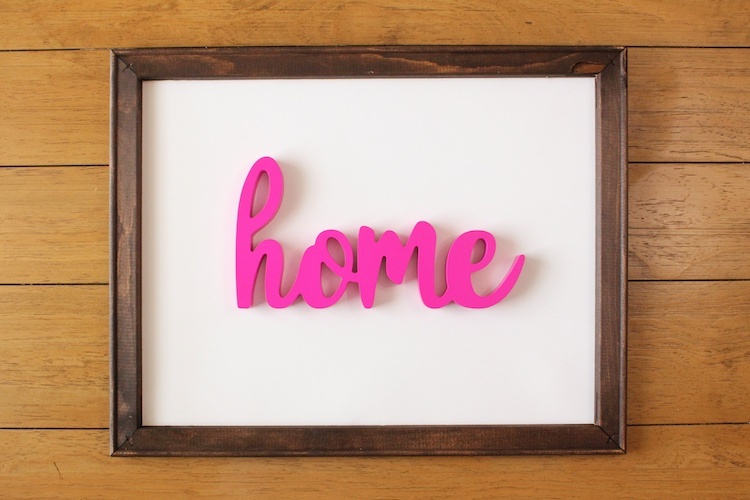 I love how the frame is so simple but the bright pink “home” jumps out at you. 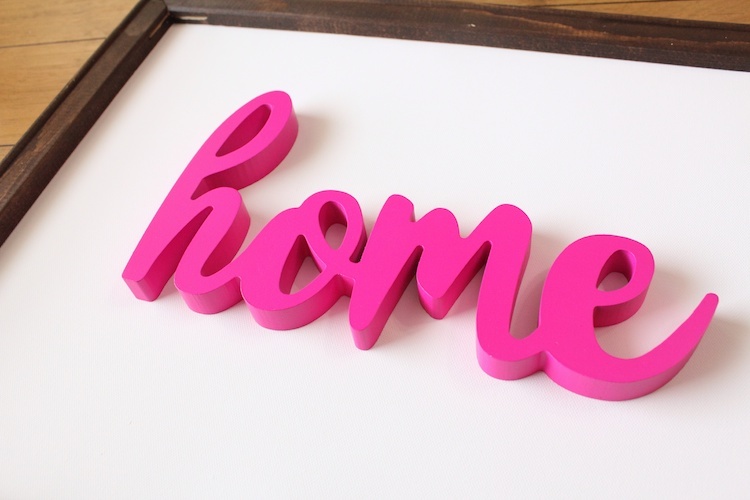 It’s perfect for the eclectic wall I keep next to my dining table. I spotted the words “home”, “grow”, “hello”, and “relax” at my Target. Which one would you choose?